Starting and running a successful franchise hotel has its own unique challenges and rewards. This article covers both. The United States hospitality industry is in a seemingly constant state of flux. While economic growth across the board has led to banner years for both business and recreational travel, the increasingly fierce competition from AirBnB and similar Web-based travel booking alternatives have kept revenue and profits on a tight leash. That being said, accommodations — including hotels, motels, B&Bs, and other forms — accounted for about 18% of the total travel and tourism spending in the U.S. in 2015, or about $278 billion. The accommodations sector accounts for more than 1.9 million jobs. So, there’s still plenty of room for a savvy entrepreneur or investor to realize significant gains in the hotel business. One of the most popular ways business owners are accomplishing this, while simultaneously mitigating risk, is by buying and running a franchise hotel. In the era of AirBnB, traditional hotels and motels can’t just sit on their laurels and expect travelers to fill their rooms just because they’re there. Not only is it difficult to compete with AirBnB accommodations on price, many of the residential spaces being rented out through the app are in prime locations that may be closer to popular attractions and events than even the closest hotel. As a result, developing a compelling differentiator and communicating it through effective marketing are both key in order to successfully compete. Because of the marketing strength and established branding behind most large hotel franchises, new franchise owners entering the industry will often find these key elements to be easier, faster, and less expensive to execute than the owner launching a brand new, private hotel might. While many entrepreneurs who have invested in the hotel business have chosen to go with a franchise location, it’s important to compare all the current and projected future factors — financial and otherwise — before settling on one method of entry over the other. Prospective hotel owners can benefit from the help of business experts with experience in the local hospitality marketplace. If you decide to purchase a franchise hotel, the process is very straightforward (in most cases.) The largest, most reputable chains — which, not surprisingly, offer some of the safest investments available — offer turnkey operations with thoroughly duplicatable systems in place to guide you from A to Z, as quickly and efficiently as possible. Of course, with the help of your own business broker, attorney, accountant, and other advisors, it behooves anyone buying a hotel to thoroughly vet every franchise contract and negotiate the details to develop an agreement that offers you the best chance at fast, profitable success. It’s important to remember that even large, established hotel chains are in competition with each other, and depending on the location and circumstances where you’re interested in opening a new hotel, franchisors will likely be willing to negotiate quite a bit to ensure you invest with them. Once you’ve accomplished the research and negotiation, the four remaining steps are essentially identical, whether you’re buying into a franchise or starting an independent hotel from scratch. The only difference in most cases is that the franchisor will likely offer helpful guidance, product sourcing, training, and marketing assistance that will not be available when you’re on your own. Operating a franchise hotel — as is the case with any business enterprise — requires a healthy balance of business acumen, willingness to take risks, and a wholehearted desire to delight the customer. Perhaps more than many businesses, a hotel can either reap the rewards or suffer the consequences based solely on the level of customer satisfaction they maintain. Nearly every popular location across the country has at least a dozen different hotels and motels clustered within a few miles of each other, so competition is always fierce. Many of the available amenities are similar (if not identical) and prices are usually quite competitive as well. This means the customer’s experience becomes the determining factor between high occupancy rates year after year and a steadily declining reputation that can lead to a downward spiral. Once again, the potential benefit of running a franchise location as opposed to an independent hotel is the fact that methods and best practices for ensuring an excellent customer experience can be sourced from throughout the company’s numerous locations. As various amenities are offered, packages are developed, and efficiencies are identified, the most successful experiments inevitably come to the attention of the parent company and will become integrated into the ongoing “playbook” provided to franchisees. It’s in the parent company’s best interests to keep their franchisees up to date on the latest and greatest customer experience best practices, and to support them in any way possible as they make an effort to execute on those strategies. On the other side of the coin, if you’re the type of entrepreneur who prefers the complete freedom to experiment with operations, marketing, and other factors to develop the most potential from your business, strict franchise guidelines may severely restrict your ability to do so. Most franchisees are required to stick very closely to those same playbook in order to maintain uniform consistency in branding and experience. You could view this as a safety net or a straightjacket, depending on your personal preferences as a business owner. 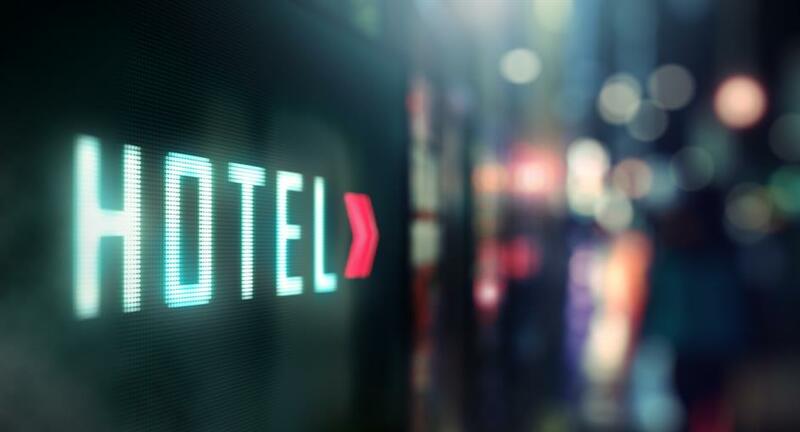 Should you buy a franchise hotel? In the end, whether or not you settle on owning and operating a franchise hotel or starting an independent hotel from scratch will depend on a thorough comparison of all of the elements outlined above, and many more that will be specific to your personal circumstances, location, and preferences. The important thing is to make sure franchise options are included in your initial research, and that you get the necessary professional help to effectively determine which option best suits your business goals. If you’d like to see what franchise hotels are currently for sale, you can start your search here. For independent hotels for sale, here’s the current list.